Want to create a stunning property portfolio and still have time to go to the kids’ school plays? Want to get started now and learn while doing it? 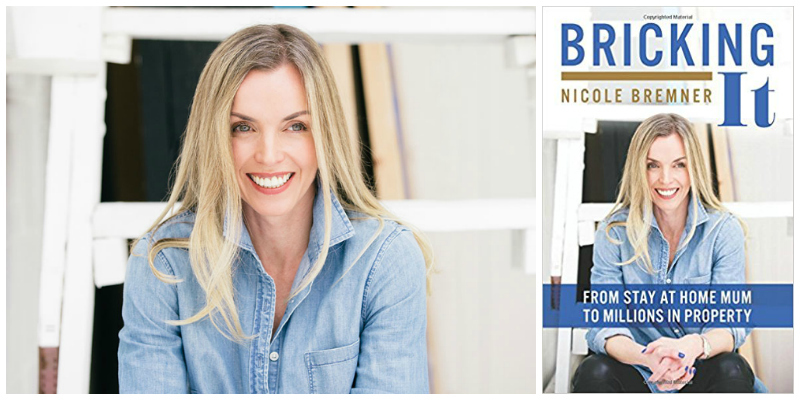 Bricking It, the brand new book by successful property entrepreneur Nicole Bremner, takes you into the world of property development from first purchase to scaling up the business and growing an internationally-known brand. In Bricking It, Nicole Bremner takes readers through her personal journey to building a highly successful property company. She shares the three key factors that have led to her business success, including how to find the right joint venture partner, how to tap into crowdfunding to find the right investment, and how to build a brand, both for the company and personally. Interestingly, she also shares how she uses communication as a powerful tool to connect the business to potential customers, investors and influencers, looking specifically at the power of the speaker platform and also social media. At a highly practical level, she takes readers through the detail of how to build a successful property company, from how to source and purchase the right properties, how to build the right business strategy, funding the business, working with architects and consultants and project management, and importantly how to sell. It’s an insightful look at the world of property and how to build a successful business in this potentially lucrative but tough industry sector. I am often asked how it was that I grew my property business from first investment to a portfolio of over 10 projects in just over five years. With not enough time to tell the full story at property meets and events, I was prompted to write this book as a way to relate my experience and hopefully encourage others to see property as an exciting, challenging and abundant career choice. This is not a book about how to get rich quick. I’m not selling the dream. I’m simply telling the story of how I scaled up my property business from my first property to a whole portfolio of projects. Crowdfunding has been incredibly successful, allowing my company to work with dozens of new investors and raise over 4 million pounds in equity investment. And this is just the beginning. Create an attractive brand so investors and partners come to you. Learn as you go, being prolific not perfect. For Nicole Bremner, property was not an obvious choice. An ex-banker with three kids to work around, she had tried all the usuals - photography, cooking, even knitting. None of them allowed her to contribute to the family finances in the way she wanted. Since her first property development in 2010 (her own home), Nicole's gross development value has risen to over £120 million. Most recently, she has embraced crowdfunding - raising over £4 million with her team - and currently manages £10 million in investor funds. She regularly speaks about her journey into property and entrepreneurship.